Pictured above is my Super Angel Deluxe. I had a Breville prior which is going into the garage sale this Friday and I want to explain the reasons why and the differences in the juicer methodology as well as the difference between juicing and blending. 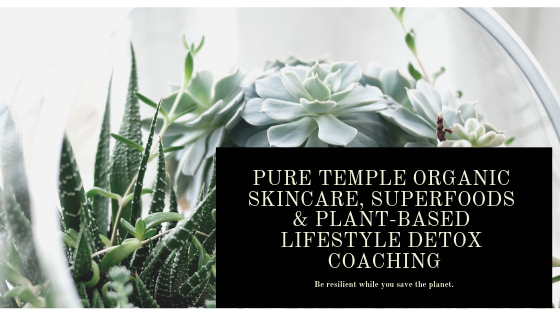 What you want is to get as much of the mineral and vitamin content (and live enzymes) out of your food so that you fully feed the needs of your body. I find it interesting how things always get back to nature or closely imitating it as we find what actually works the best. We will review Centrifugal, Masticating and Triturating juicers here. The machine pictured above (green ink to link you to view more details and purchase) is the only solid stainless steel triturating machine on the market today for the home kitchen. Triturating (twin gears) run slower (82 RPM) which allows for the best retention of enzymes and nutrients. As you go faster, you lose content quality. This is what I have in my kitchen and I chose this link (green ink) as this is the best price which also includes the Juice Bible book too. Masticating machines, Omega 8005/8006 series, the Champion brand juicers – have a single gear to crush and ‘chew’ the leafy greens & veggies. The Omega, and you have to give props for any machine that comes in Purple or Acid Green, is a great machine overall. My concern is that it has plastic parts. But for $300.00, free shipping and a 15 year warranty, and did I mention colours? What a deal! What a flying scream of a deal, really. The Champion I have the same plastics issue with. But it comes in a few colours and a 10 year limited warranty. For $295.00 it is a great buy. Centrifugal machines, like the Breville Juice Fountain series, spin the food at high revolutions. They are a lot faster and you may end up, at best, with 70% of your vitamins & minerals and the juice tastes great. I bought the Breville before I gained further knowledge. So this is knowledge I would like to pass on to you. The issue with the speed is that it causes your produce to oxidise rapidly. If you are just trying things out and don’t want to invest alot right now, this machine will set you back $147.94 and free shipping. To my mind, if you are going to spend more on the Breville’s higher end versions, which are higher speed, then you are far better off buying a masticating machine so that you retain more of your enzymes, vitamins and minerals. To my mind, if you are going to spend more on the Breville’s higher end versions, which are even higher speed, meaning higher oxidisation, then you are far better off buying a masticating machine so that you retain more of your enzymes, vitamins and minerals. I tend to be a ‘one and done’ person. I like things of quality, things of beauty and function where I can sit back and enjoy them for many decades to come and perhaps never repeat purchase again. While the Breville is a solidly built machine, I bought the Breville before I gained further knowledge. So this post is about sharing knowledge with you. The Super Angel twin gear juicer, $1658.00 is a substantial chunk of change. But there are no breakable parts! Zero Plastic! It has a 10-year warranty on the motor, 5-year wear and tear. This machine has zero colour, it is all about the business. But I love the easy clean up ad seriousness of the machine, it is very well designed and gosh, it ought to be! A big bonus is this machine extracts 20-30% more juice too! The entire thing is quality all .304 stainless steel construction and anti-bacterial. The slow speed ensures low shock and minimal oxidation. This is something I can will to somebody like the old Kirby vacuums. The Super Angel performs masterfully juicing wheatgrass, sprouts, herbs, leafy greens, vegetable and fruits. You can order the optional/additional Grinding (screen) Housing for making nut butters, baby food, frozen sorbets, etc. Having had a few juicers in my time, I can share with you that Angel makes great juice, exemplary taste, texture and vitamin, mineral and enzyme retention and you’ll end up with approximately 95% of your food. It is designed for easy of operation, efficiency, reliability and longevity. The Super Angel performs masterfully juicing wheatgrass, sprouts, herbs, leafy greens, vegetable and fruits. The Angel is designed for easy of operation, efficiency, reliability and longevity. The Super Angel performs masterfully juicing wheatgrass, sprouts, herbs, leafy greens, vegetable and fruits. And so when I began my journey, I was very curious what the difference was, between juicing and blending. Wouldn’t blending be healthier as it is more of the produce etc. A blender whirls the whole fruit together. As a blender is high-speed, you will encounter nutritional loss. With a juicer, you are removing the pulp, so your body doesn’t have to work as hard to digest it. This makes it great in the morning as a detox agent, and to get minerals and vitamins and enzymes into your system fast because your body doesn’t have to work to process it. My favourite green juice right now is 1 cucumber, half a ‘head’ of celery, a cup of whatever sprouts I have on hand, (mung or sunflower or pea sprouts) a bunch of fresh wheat grass, turmeric root or ginger root and half a bunch of cilantro. Whatever machine you choose for your kitchen, I wish you happy juicing, here’s to your health! Green Juice Recipe For Detox & Rejuvenation! So, our world we live in is so damaged and, consequently, so are we. The air we breath, the water we drink and the food we typically buy(if not organic) is filled with pesticides and other contaminates. Each one of us carries what is known as a body burden, which is the storage of toxins that each of us personally carries. These toxins, stored in our fat as our body’s attempt at protection from harmful things it cannot process, eventually wreak havoc. I lost my dad, my mother and my brother to cancer. My other brother and cousin are currently sick with cancer. Prior to her death, mother stated cancer was after the family, taking us all out. But i know that while each of us carries cancer, carries some mutated cells, our bodies have the ability to fight, given the tools. 90-95% of cancer is from what you are exposed to. The remaining 5-10% is genetic. This means we can win this if we treat our miracle machine right. The green drink pictured above is 1 cucumber, a small chunk of ginger to taste, half a bunch of celery and a cup or so of sunflower sprouts. I also add in a cup of pea sprouts too, but I didn’t have any on hand today. You can add lemon, or cilantro, and leave out the ginger, play around a bit with it, perhaps adding Turmeric instead. I use Turmeric alot, for its magnificent anti-inflammatory properties, which are magnified with black pepper by the way. See my other blog post on the iPlant sprouter review and I’ve included a link to purchase if interested. I grow my own sprouts. Eating as much as I do of them, it’s the best and freshest way as well as the most variety. 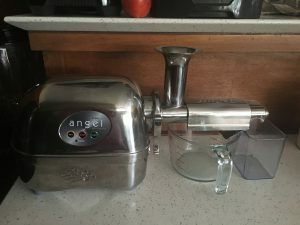 There is also another blog on the Angel Juicer I own and love. Celery is high in beneficial enzymes and helps the body regulate its alkalinity, helping to protect against an acidic body. Cancer doesn’t thrive in an alkaline environment. Cucumber is high in chlorophyll, copper and calcium and sunflower sprouts are high in zinc and B vitamins and are beneficial to the nervous system. You want to drink the juice down within 15 minutes of juicing. This is to avoid oxidisation which robs vital minerals and vitamins. Think of a freshly cut apple turning brown or a car rusting out. Oxidisation is the interaction of oxygen molecules and whatever substances they make contact with, from metal to living tissue. We want to avoid it on our cars, our food, our person. Many folks eat processed foods, pastries, coffee in the morning when our bodies were designed to detox nightly. From between about 10pm and 11am, your body is trying its level best to detox. A great example of this is my sister in law who smokes. In the morning, upon arising (and only then) she coughs up phlegm. Her lungs sound healthy but they are trying to detox before she smokes again. If you tune into your body the first few hours you are up, you can tell what areas are taking on the worst of the pollution in your environment. Your nose may run (me) or you lungs may be trying to purge. A neti pot is great to help detox the sinuses and there’s a post on that too! So the thing here is that you want to honour the body’s level of efforts here by supporting it with a healthy detoxing green drink in the morning. 2 a day, one a couple hours before bedtime, is awesome! Your skin will be cleaner, clearer as well as your whole body!